the raising of religious liberty as a defense at any time. Gerry Armstrong, defendant and real party in interest, respectfully petitions for review following the unpublished decision of the Court of Appeal, First Appellate District, by Hon. Maria P. Rivera, Associate Justice, filed on October 19, 2005. 1. Whether any California courts have jurisdiction to enforce a contract that prohibits and punishes an individual’s religious expressions about a religion because such prohibition and punishment have gone on too long to be stopped, or for any other reason. 2. Whether California courts have jurisdiction to prohibit and/or punish religious expressions of a foreign national expressed in foreign nations, and which are not threats to public safety, order or national security in California or anywhere. 3. Whether the Court of Appeal has jurisdiction to reinstate punishment that the trial court had ruled an unconscionable result of the application of certain unconscionable contractual clauses, without affording the victim or intended victim of that unconscionable punishment the reasonable opportunity mandated by C.C.C. §1670.5 to present evidence as to that contract’s commercial setting, purpose and effect to aid the trial court in making or remaking that ruling. 4. Whether the Court of Appeal has jurisdiction to misstate the language and meaning of a trial court’s rulings in order to facilitate the vacating of one of those rulings, particularly where the result of such vacating is not justice, but what has already been ruled unconscionable. 5. Whether any California court may punish an individual for properly reporting a crime, even if such reporting violates the language and/or meaning of a contract or court order. 6. Whether any California courts have jurisdiction to enforce a contract and an injunction that are patently unlawful, and/or impossible to perform. 7. Whether California courts have jurisdiction to end an international idiocy that is the unconscionable result of thirteen years of the California courts’ abetment in the application of unconscionable contractual clauses concocted and enforced by a religion. This is an extraordinary moment in a more than 23-year campaign by the Scientology religion, using the California court system, to deprive Gerry Armstrong, an individual, religionist, and persecuted religious class member, of his basic human rights, particularly his religious freedom, and, here immediately, his physical freedom and safety. This Court is where this case belongs, because it concerns the whole State of California and what will be the whole State’s highest wisdom about religious freedom for all its citizens. This Court has the opportunity to decide something about the extent to which California’s courts may be used by California’s religious corporations to deprive individuals of that freedom or in other ways persecute them pursuant to religious doctrine and religious hatreds. This State is also where plaintiff and petitioner Scientology organization is headquartered. Scientology around the world is controlled, operated and exported from California by David Miscavige, a California resident. generated in Scientology v. Armstrong, or achieved such global notoriety. Scientology’s Armstrong contract is Exhibit 1 to Scientology’s exhibits in support of its writ petition (“Exs.”), pp 1-16. This then is a representative and leading case in a completely new area of life and law in California and around the world; namely, religious corporations’ suppression and deprivation of individual religious freedom and other basic human rights by contract, and by judicial enforcement of such contracts. Such contracts are themselves a very modern invention of the religious corporation’s modern corporate lawyers. The deeply evil intent of such contracts makes them particularly difficult to confront, and thus particularly suited to the high confront of the highest court in the State in which these contracts are concocted and their enforcement directed by resident enforcers. unlawful. Some court some time will have to confront this issue and this Court at this moment in time has jurisdiction to do so. Armstrong obviously is not voluntarily giving up his basic human rights to Scientology, including his rights to freedom of speech, freedom of religion, freedom of association, freedom of movement, due process, self-defense, and freedom from slavery. Armstrong is protesting every step of the way, declaring that he was forced against his will to sign Scientology’s contract, and vowing to never give up those rights. He believes that Scientology’s contract and what has been done to enforce the conditions against Armstrong that deprive him of those basic human rights are the fruits of a criminal conspiracy in violation of U.S. Civil Rights criminal statutes, specifically 18 U.S.C. §241, conspiracy against rights, and §242, deprivation of rights under color of law. The Court of Appeal’s decision ignores this issue and these laws completely, although Armstrong put them squarely and properly before the Court in his briefs. This Court can now decide if a participant corporation in an ongoing criminal conspiracy may by contract lawfully prohibit the ongoing victim of that criminal conspiracy from discussing that criminal conspiracy and the crimes being perpetrated on him. May the California courts lawfully be used to enforce such a contract against such a victim of such a criminal conspiracy, which is proven to be a criminal conspiracy by its own contract and actions to enforce that contract in these courts? Does Armstrong actually have a duty to violate any orders of California’s courts that compel him to participate in and forward Scientology’s criminal conspiracy by playing its victim in that criminal conspiracy? religious freedom by contract, and punished for their religious expressions about religions in the way Scientology wants Armstrong to be punished. The IRFA was enacted in fact specifically to protect people in positions and classes just like Armstrong’s who are targets of religious persecution right now in present time just like Armstrong. The Court of Appeal’s decision is completely alone in its opposition to and disregard for the IRFA’s letter and spirit. For Armstrong, as long as he is outside the U.S., his religious expressions and his basic human rights are protected by the Canadian Charter of Rights and Freedoms, Constitution Act, (1982) and by the European Convention for the Protection of Human Rights and Fundamental Freedoms (1998). Similarly, Scientology is prohibited by these same human rights charters from depriving Armstrong of his basic human rights in non-U.S. nations, and prohibited from punishing Armstrong for his religious expressions. The European Convention and other international human rights charters are identified in the IRFA at 22 U.S.C. §6401(a)(2). In this matter this Court can rationally and decisively align California law and decisions with the 8-year old IRFA, and with the international human rights charters of the world the IRFA endorses. Say what is true, fair and wise to guide any California Court that in the future finds its power and authority being used to punish other foreigners for their religious expressions expressed in foreign countries. Although this case is all about the unlawful deprivation of human rights, it is positioned at this time as a contract case, and clearly the law that the trial court applied to the case and facts before that court was C.C.C. §1670.5. The trial court ruled that the punishment Scientology sought to inflict on Armstrong, including jailing and fining him, as the result of the application of the subject contract’s clauses, was unconscionable. such cases exist because these contracts are such new devices in the programs and campaigns of new religious corporations to judicially suppress and destroy basic human rights for individuals. This Court has the golden opportunity to stop these contracts and their judicial enforcement from becoming de rigueur in California’s courts. The Court of Appeal’s decision fails to apply C.C.C. §1670.5, in fact avoids addressing or even mentioning that governing statute, the applicability of which Armstrong had addressed at considerable length in his opposition to Scientology’s petition for writ (“Opp.”), in his respondent’s brief (“RB”) in Scientology’s appeal consolidated in the Court of Appeal with its petition, and in his petition for rehearing. (“Pet.Reh.”) The Appellate Court’s failure to apply the proper California statute, and that Court’s failure to apply the procedural remedy that statute mandates, has resulted in the reinstatement of the punishment that the trial court, by proper application of C.C.C. §1670.5, had already ruled unconscionable and consequently remitted. The Court of Appeal’s reinstatement of the unconscionable result, which had already been ruled unconscionable, is particularly unconscionable because to reach its decision the Court of Appeal has had to misstate the language and meaning of the trial court’s unconscionability judgment. The Court of Appeal also ignored the effect of Scientology’s voluntary dismissal of its appeal from the trial court’s judgment on the unconscionable punishment the Court was reinstating. The dismissal of the appeal, which Scientology had successfully moved the Court of Appeal to consolidate with this writ petition case, ended any possible nonacceptance by Scientology of the unconscionability judgment. That judgment then required acceptance of the remission of the unconscionable punishment that Scientology sought by its writ petition to have reinstated. Obviously every California court including this Court has a duty to prevent an unconscionable result in any matter properly before it. Over the next almost 24 years, and continuing to this day, Scientology and its agents fair gamed Armstrong in accordance with the organization’s “Suppressive Person” doctrine. These fair game attacks include, inter alia, physically battering Armstrong on six occasions; running into him bodily with a car; terrorizing him on a highway in California and an autobahn in Germany; attempting multiple times to have him charged criminally on false evidence, including with the Los Angeles District Attorney, the FBI, and the prosecutor in Ekaterinberg, Russia; suing him six times; driving him into bankruptcy; running covert intelligence operations on him; attempting to entrap him in sting operations; filing numerous false statements about him in legal proceedings; breaking into his car and stealing extremely valuable documents and artwork; terrifying his neighbors and his family; threatening to assassinate him; forging hundreds of Internet postings, including racist postings, over his name; and creating and disseminating countless black propaganda attacks on him around the world, including to government agencies, media and the clergy. Pet.Reh., Opp, 4,5; RB, 9-30; Respondent’s Appendix (“R.App.”) 261:25-262:14. Black propaganda or black PR is Scientology’s fair game policy and practice of destroying SPs’ reputations, credibility, relationships, livelihoods and lives with the relentless, widespread covert and overt dissemination of false and defamatory materials about the SPs. Scientology filed its first suit against Armstrong in August 1982 in Los Angeles Superior Court for conversion, breach of fiduciary duty and invasion of privacy, and Armstrong filed a cross-complaint for, inter alia, fraud and intentional infliction of emotional distress. Scientology’s suit went to trial in 1984 resulting in a judgment in Armstrong’s favor, which Scientology appealed. Scientology v. Armstrong, (1991) 232 Cal.App.3d 1060, 283 Cal. Rptr. 917. Armstrong’s cross-complaint was settled in December 1986 as part of a global settlement involving some 20 clients of attorney Michael J. Flynn, then of Boston, Massachusetts. Mr. Flynn was also a “Suppressive Person” and also the target of Scientology fair game attacks, including, inter alia, infiltrating his office; paying known criminals to testify falsely against him; suing him and his office some fifteen times; framing him with the forgery of a $2,000,000 check; and black PRing him internationally. Scientology got Mr. Flynn, who was also Armstrong’s employer and friend, and who settled his own claims against Scientology in the global settlement, to act as its agent to trick and force Armstrong to sign Scientology’s settlement “contract” in order to have the fair gaming of Mr. Flynn, his family and clients end. Scientology did not leave Armstrong in peace following the 1986 global settlement but has continued to fair game him ever since. The organization’s attacks before he ever responded, or ever spoke out publicly against these attacks, included generating and disseminating black PR on him publicly and internationally; filing numerous sworn statements about him in legal proceedings falsely accusing him of crimes and perversions; distributing an unlawful secret video of him; blackmailing him with threatened publication of his private writings; filing a false declaration he had been forced to sign as part of the “settlement;” and threatening him with prosecution if he honestly testified pursuant to a deposition subpoena properly served on him in late 1989 in a third party’s California litigation. From 1990 until now, Armstrong has spoken about his Scientology-related experiences, knowledge and beliefs as called by God, even though that would cause Scientology’s leaders to escalate their fair game campaign against him. He never believed that the contractual clauses that prohibited his discussing his Scientology-related experiences, knowledge and beliefs were lawfully judicially enforceable. He has also, as was safe, courteous and wise, assisted his fellow SPs, whom he knows to be a threatened religious class, even though any such assistance is prohibited by Scientology’s contract. He has found it impossible after a certain point to deal insanely with Scientology and its attacks on peace, justice and sanity, and he believes that no court can lawfully compel him to be or act insane. In 1991, Scientology filed a motion in LA Superior Court to enforce its contract against Armstrong, which was denied. In 1992 Scientology filed a lawsuit to enforce its contract in Marin County, where Armstrong was then living and working. Scientology obtained a series of summary adjudication rulings from Marin Superior Court Judge Gary W. Thomas, eliminating all Armstrong’s properly pled affirmative defenses, and culminating in a judgment and injunction against him in 1995. Exs. 85-93. Scientology in any way, he would have to pay Scientology $50,000 per utterance or assistance. Judge Thomas ruled that the $50,000 liquidated damages penalty was per recipient, and that a single letter Armstrong copied to 18 people would cost him $900,000. Judge Thomas stated in his injunction that all these penalties and prohibitions applied not only Armstrong but also “his agents, employees, and persons acting in concert or conspiracy with him.” Since then, Scientology has threatened several Suppressive Persons with enforcement of the Thomas injunction against them for “acting in concert” with Armstrong. Judge Thomas completely avoided addressing the religious freedom defense, which was squarely and properly before him, and seriously misstated the law he found controlling to justify that improper avoidance. Armstrong appealed. See case No. A075027, which Armstrong incorporated into his opposition to Scientology’s writ petition and in his respondent’s brief in the consolidated cases in the Court of Appeal. 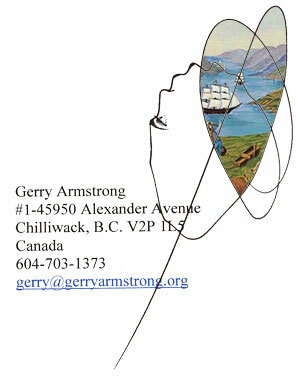 At the beginning of 1997, because of threats from Scientology, Armstrong left California and returned to British Columbia, Canada, where he is a citizen. A few days before he left California, he was served with a subpoena duces tecum by the wog defendant in a Scientology-related case in U.S. District Court in San Jose. The subpoena specifically commanded Armstrong to produce declarations he had authored concerning unlawful acts by Scientology. The next day a Scientology attorney faxed Armstrong a letter threatening him with prosecution if he produced the subpoenaed documents. Armstrong wrote a declaration concerning the threat and sent it to the judge presiding in the U.S. District Court case in which Armstrong had been served and threatened. While Armstrong was in B.C., and without service on him or notice to him, Scientology got Marin Superior Court Judge Thomas to sign an OSC re contempt and a contempt order against Armstrong for sending the declaration to the U.S.
District Court Judge. The contempt order makes no mention of Armstrong’s being served to produce the documents he produced including the subject declaration, and makes no mention of Scientology’s attorney threatening Armstrong and thus causing him to create and transmit the declaration reporting that threat. Judge Thomas punished Armstrong with 2 days in jail and a $1000 fine. In August 1997, while in B.C., Armstrong timely filed his appellant’s opening brief in his appeal from the injunction and judgment. Scientology moved the Court of Appeal to dismiss his appeal on the basis of the fugitive disentitlement doctrine. Mysteriously, the Court of Appeal, First Appellate District, Division Four, mistook a request from Armstrong for an extension of time to file an opposition to Scientology’s motion for an opposition, and in December 1997 dismissed the appeal. Also in December 1997, Scientology got Judge Thomas to sign another OSC re contempt against Armstrong for 13 expressions of his religious experiences with the Scientology religion, which he expressed on the Internet or in public conversations in Canada, the U.K. and Germany. In February 1998, Judge Thomas signed a contempt order punishing Armstrong with 26 days in jail and a fine of $2,600. In November 2000, Scientology filed another application for an OSC re contempt against Armstrong for 131 Internet expressions of his religious experiences with the Scientology religion expressed in Canada, for permitting himself to be subpoenaed to testify in a Scientology-related case in Florida, and for expressions of his religious experiences with the Scientology religion expressed in Florida and Denmark. Armstrong filed an opposition to Scientology’s OSC, acknowledging that he had expressed thousands of such expressions, and defending his legal right and religious freedom to do so. In July 2001, Marin Superior Court Judge Vernon F. Smith, who had inherited the Scientology v. Armstrong case after Judge Thomas retired, signed an order finding Armstrong in contempt, but did not impose any punishment. On April 2, 2002 Scientology filed another lawsuit in Marin Superior Court, CV 021632, against Armstrong, Robert Minton and the Lisa McPherson Trust, seeking $10,050,000 from Armstrong for 204 “breaches” of Scientology’s “contract.” The 204 claimed “breaches” included the 131 Internet postings identified in Scientology’s November 2000 application for OSC, plus 73 additional “breaches,” including religious expressions expressed in Canada, France, Denmark, Germany and Russia. Armstrong, who was then living in Germany, timely filed his answer in November 2002. Exs. 211-295 Scientology filed a motion for summary judgment claiming there was no triable issue of fact because Armstrong had admitted committing the “breaches,” and seeking $50,000 for each “breach.” Armstrong opposed the summary judgment motion, and in March 2004 Marin Superior Court Judge Lynn Duryee denied the motion. Scientology moved to strike Armstrong’s evidence in support of his opposition, and Judge Duryee denied that motion. On April 9, 2004 Judge Duryee conducted a trial of Scientology’s complaint, during which, with the agreement of Scientology and Armstrong’s attorney Ford Greene, she consolidated the earlier cases, Marin Superior Court Nos. 152229 and 157680, with the later CV 021632 case. Judge Duryee also stated that she was considering the trial a hearing as well on the contempt punishments in the earlier cases. After opening statements from Scientology and Armstrong, Judge Duryee ruled that the punishment Scientology sought to inflict on Armstrong beyond the benefit that was conferred to him in the 1986 settlement was unconscionable. She believed, albeit erroneously, that the benefit conferred to Armstrong was $800,000. She therefore stated her judgment awarding Scientology $500,000 in liquidated damages, since Scientology had already been awarded $300,000 in liquidated damages by Judge Thomas, and she remitted, or discharged, the contempt punishments jailing and fining Armstrong. Upon Judge Duryee rendering her judgment at trial, Scientology entreated her to punish Armstrong for the approximately 135 violations of Judge Thomas' injunction for which Judge Smith had found Armstrong guilty in 2001, but had not specified a punishment. Judge Duryee then sentenced Armstrong to five days in jail and fined him $1000, but made the fine concurrent with her judgment, and discharged that jail sentence as well. Because for a period of some weeks after the trial Scientology’s attorney and Mr. Greene could not agree on the language of proposed written orders to be submitted to Judge Duryee for signing and filing, on May 20, 2004 she issued her own orders. Exs. 17,18. Scientology received the orders from the Marin Court, but Mr. Greene did not receive them at that time, and did not know of their existence until July 12, 2005. On July 15, 2005 Scientology filed its petition for writ of certiorari or writ of mandamus in the Court of Appeal seeking to have the jail sentences and fines reinstated, and filed its notice of appeal seeking to have reversed the judgment of unconscionability that limited the liquidated damages penalties. Simultaneously, Scientology filed a motion to consolidate its appeal and writ petition on the ground that the evidence and the legal questions presented by both matters are so related as to make it advisable to consolidate them. The Court of Appeal granted the motion. Armstrong timely filed his respondent’s brief and his opposition to Scientology’s writ petition. On September 2, 2005 Scientology requested the Court of Appeal to dismiss its appeal. On September 8, the Court of Appeal dismissed Scientology’s appeal, but kept the writ petition alive and scheduled for oral argument. and reinstating the jail sentences and fines against Armstrong that Judge Duryee had remitted. On November 3, 2005 Armstrong timely filed his petition for rehearing, and on November 14 the Court of Appeal denied his petition. 1. By their failure to address the profound religious freedom issue and defense in this case, the California Courts since 1992 have prostrated themselves to unlawfully abet religious persecution. The California courts that have dealt with Scientology’s contract cannot but know about the towering religious issue and defense in this case, which have through time towered ever higher. The filed documents before these courts are filled with the religion issue and Armstrong’s religious expressions about the religion issue and freedom of religion defense and about religion itself. See, e.g. Pet.Reh. Opp., RB. that is one … I'll say one of the most ambiguous, one-sided agreements I have ever read. And I would not have ordered the enforcement of hardly any of the terms if I had been asked to, even on the threat that, okay the case is not settled. I know we like to settle cases. But we don't like to settle cases and, in effect, prostrate the court system into making an order which is not fair or in the public interest. RB, 48; Clerk’s Transcript, prior appeal No. A075027, 7700. An unavoidable and overwhelming real life reason that rendered the order Scientology sought not fair and not in the public interest is the eternal fact that it is a religion that seeks to prostrate the secular wog court system for the unlawful purpose of suppressing the religious expressions of a religious apostate and punishing and crushing that religious apostate. In 1992, Scientology filed the lawsuit to enforce its contract that has resulted in the jail sentences and fines against Armstrong that the Court of Appeal’s October 19, 2005 order has now reinstated. Between 1992 and now Scientology found a number of judges, notably Judge Thomas in Marin County, who were willing, for unknown reasons, to prostrate the California court system to permit and abet Scientology’s religious persecution campaign. Judge Thomas accomplished the abetment of Scientology’s religious persecution of Armstrong in 1995 in no small part by avoiding the whole religious freedom issue and defense, even though it was colossally and unmissably then before him. As Armstrong protested in his earlier appeal and elsewhere, Judge Thomas altered the language and meaning of the case he cited to, ITT Telecom Products Corp. v. Dooley (1989) 214 Cal.App.3d 307, 319, to wipe out all Armstrong’s First Amendment defenses. Pet.Reh. 9-13. Armstrong’s position is that because of the nature of religion and of First Amendment religious rights such rights may not be waived by contract. He believes that the failure of all California Courts to confront the religious freedom issue in this case over the past many years validates that position, rather than invalidates it. be noted that this dismissal was engineered by Scientology on the grounds that Armstrong had not served the very jail sentence that in 2004 Judge Duryee ruled unconscionable and remitted. It is no human wonder that the Court of Appeal division that dismissed Armstrong appeal would have some interest in reinstating that unconscionable punishment, and perhaps even could go to the lengths that division has gone to accomplish that reinstatement. In 2004, Judge Duryee, while still not articulating the reality of Scientology’s religious war on Armstrong, and the reality of his religious freedom right and that right’s inalienability, at least limited and slowed down the judicial religious persecution campaign against Armstrong by declaring the punishment Scientology sought to inflict on Armstrong an unconscionable result, and remitting that unconscionable result. Now for some unholy reason a California Court of Appeal tribunal is reprostrating the California court system, which Judge Duryee had uplifted for the previous19 months, and is again back to abetting Scientology’s religious war on Armstrong by issuing another order in that war that is not fair and not in the public interest. The Court of Appeal’s order is not fair and not in the public interest for the very reason that it abets Scientology in its religious war on Armstrong, which war the Court of Appeal ignores in order to author its unfair order. punishments, and no judge can be foreclosed by any length of time from acting to limit, prevent or remit an unconscionable result. Armstrong challenged the merits of the contempt orders in many documents filed in the trial court, all properly before Judge Duryee. These challenges to the merits all included Armstrong’s proclamation and evidence that the expressions for which Scientology wanted him jailed and fined were his religious expressions in free exercise of his right to freedom of religion. On the basis of Armstrong’s challenging of the merits of the contempt orders for all the reasons he challenged them, Judge Duryee found the punishment they ordered unconscionable and she remitted that punishment. The challenges to the merits of the contempt orders that Judge Duryee had in the record before her, could not but be part of the record before the Court of Appeal. Consequently, Armstrong could not be foreclosed from pointing the Court of Appeal to those challenges and reasserting those challenges already in the record that Judge Duryee obviously found to be good grounds for remission of the unconscionable punishment the contempt orders inflicted. To justify its “foreclosure” of Armstrong from “challenging the merits of the contempt orders” in the Court of Appeal, that Court had to find that “there were no circumstances in the record justifying a remission of the sentences.” This is a gross error that demands correction. The trial court record is filled with circumstances justifying the trial court’s remission of the sentences, including the facts that a religion had obtained those sentences as part of its campaign of religious persecution against Armstrong, and that the sentences punished him for his religious expressions in free exercise of his right to freedom of religion. The Court of Appeal then did not have authority to declare Armstrong “foreclosed” from demonstrating what is in the record before that Court, and what was in the record before the trial court when that court ruled the sentences unconscionable and remitted them. 2. Because of the nature of religious liberty, it cannot but be an exception to res judicata and collateral estoppel if raised as a defense at any time, and res judicata and collateral estoppel cannot be relied upon to prevent the raising of religious liberty as a defense at any time. There is no suggestion from Scientology that what Armstrong expresses, for which Scientology wants him jailed and fined, are not or cannot be his religious expressions of his religious beliefs about a religion. They have also always been Armstrong’s religious expressions of his religious beliefs about a religion, from the day Scientology sought to suppress those religious expressions by contract. Scientology does not argue, of course, that it is not a religion. Scientology’s position is that Armstrong is prohibited from expressing his religious expressions about the Scientology religion by contract, and by Judge Thomas’ injunction, and that it doesn’t matter if they are Armstrong’s religious expressions. Scientology’s position, since it got Armstrong’s appeal of Judge Thomas’s injunction dismissed in 1997, is that Armstrong is barred by res judicata and collateral estoppel from asserting his religious freedom defense to which Judge Thomas did Dooley. Armstrong’s position, supported by law and logic, is that an individual being deprived of his religious liberty cannot lawfully continue to be deprived of that religious liberty because the deprivation of his religious liberty has gone on too long to be stopped, or for any length of time. In the Scientology v. Armstrong legal war, this position grows in strength and authority because Armstrong’s religious expressions have increased, his world wide wog and Scientologist audience has increased, and his religious persecution at the hands of the Scientology legions has increased. If such things can be added, his human right of religious freedom to expose and oppose that religious persecution has increased beyond his wildest imagination. financial ruin of a citizen for expressing his religious experiences and thoughts and for protecting himself, his family and citizen class from religious persecution. He also never conceived of the religion he joined and his co-religionists being so diabolical that they would create contracts to get wog courts to do exactly that and then force their victims to sign these contracts. Armstrong’s position, however, in alignment with law, logic and his own theology, is that the right of religious freedom is always maximal, cannot lawfully be decreased by contract, and therefore cannot be increased. There is no question of anything Armstrong is saying or doing depriving anyone else of any of their lawful rights, or being a threat to anyone’s safety, or to the public order. In fact, he believes that he is seeing to and increasing everyone’s safety, and arguably even good order, by expressing the expressions he has been called to express. He contends that the record in this case and available to this Court shows that from the day he left Scientology, almost 24 years ago, Armstrong has not done anything that was a threat to safety, order, morality or national security. Although Armstrong’s, and everyone’s, right to religious freedom is always maximal, because no California court so far has been willing to address the religious liberty issue and because Armstrong has continued to study and address the issue, his certainty of the correctness of his position has increased. Armstrong is an average common wog. He is not a lawyer, not trained in law, and does not study law. He is a Christian, studies religion and is a religionist, as religious as the next wog, or Scientologist, and he has his own thoughts, beliefs, and religious activities. Armstrong founded his own church in 1986 and renamed and restructured it as the Church of Wogs (“CoW”) in Canada and around the world. CoW is to wogs as Scientology is to Scientologists. CoW promotes what is good, true and holy in wogs and in the wog world and defends wogs against invalidation, suppression, attack and extermination. The only religion and organization that invalidates, suppresses and attacks wogs as wogs and seeks their extermination is Scientology. Armstrong’s words about the wog world, wogs, Scientology and Scientologists constitute CoW’s religious scriptures, just as L. Ron Hubbard’s words about the wog world, wogs, Scientology and Scientologists constitute Scientology’s religious scriptures. Along with his wife Caroline Letkeman Armstrong has also founded the Suppressive Person Defense League (“SPDL”), dedicated to defending SPs against religious persecution from Scientology and Scientologists and to educating the wog world about the “Suppressive Person” religious doctrine that underlies the persecution. Ms. Letkeman is also a declared SP, and also a target of Scientology covert and overt intelligence operations, threats and black PR. Scientology is waging a religious war or jihad on SPs. At its core and in operation the Scientology religion is an intelligence organization, thus many of its operations and channels of attack on SPs in that war are secret or cloaked and deal in disinformation and black PR. Armstrong was a Scientology intelligence operative close to Mr. Hubbard in the Scientology religion. Scientology’s Armstrong contract is not at all a settlement agreement between the parties to achieve the cessation of hostilities, but a declaration of religious war by the religion on an apostate. The contract’s utterly one-sided clauses, which Judge Duryee focused on very pointedly, and which the Court of Appeal ignored, are prima facie evidence that the contract is Scientology’s fatwa to all the contract’s beneficiaries to ruin and obliterate Armstrong. Scientology and all the contract beneficiaries can attack Armstrong in any way they want. He must take their abuse and remain silent. He must pay Scientology $50,000 per utterance if he does defend himself. There is no such penalty for Scientology. The contract, in fact, is an invitation and powerful incentive to Scientology and Scientologists to attack Armstrong, his family, friends and fellow SPs just because he cannot defend himself or other people in the same way that other citizens can defend themselves and their loved ones. The contract is an ungodly license for a religion and its adherents to hunt a human being, a common average wog whom the Scientology religionists are commanded by religious scripture and by other religious edicts or fatwas to hate and attack. After confirming the contract’s one-sided conditions that evidenced its unlawful religious jihad purpose, Judge Duryee then limited or remitted the legally unconscionable results that Scientology sought in its effort to enforce those one-sided unconscionable contractual conditions. By ignoring the one-sidedness and the other clear indicia of the contract’s unconscionability and reinstating the remitted unconscionable result, the Court of Appeal cannot but be abetting Scientology’s jihad on SPs. using the wog law system to harass and ruin the organization’s SP victims and targets is compelled by religious scripture. Outside the U.S., where Armstrong lives of course, religious persecution where people were jailed, or fined or ruined for expressing their religious experiences or religious beliefs was more common. Consequently in January 1998 the Congress passed the International Religious Freedom Act to compel the Government’s branches to take a principled stand on behalf of religious freedom and against religious persecution in all foreign countries. possess the right to change. Armstrong and every person has the right to change his religion, beliefs and mind about all these things every second of every day forever. Res judicata and collateral estoppel logically cannot be used to bind someone to a particular form of religious conduct or prohibit a particular form of religious conduct, because the person must be able and free to engage or not engage in that conduct, or change his mind about that conduct or about the religious contract that compels or prohibits that religious conduct. The IRFA condemns both government-sponsored and government-tolerated violations of people’s rights to religious freedom. Scientology is a government-tolerated violator of people’s rights to religious freedom in the U.S, as this case and the California courts’ toleration and abetment of Scientology’s violations of people’s rights to religious freedom demonstrates. There are no national or international Trade Secret Freedom Charters or laws protecting the freedom of persons to express or divulge trade secrets. Religious freedom is a very different matter, which, because of its nature, simply lawfully may not be abridged by contract or by court orders. If ITT had chosen to call itself a religion, declare that it is organized for solely religious purposes, declare all its activities religious and its manuals scripture, ITT could not have silenced Mr. Dooley about his necessarily religious experiences and religious knowledge in the ITT religion. Scientology insists that it is a religion, and therefore cannot silence Armstrong about his religious experiences and beliefs as if they were commercial trade secrets. 3. The Court of Appeal did not deal with what Judge Duryee did, but dealt with something she didn’t. A. Judge Duryee correctly applied C.C.C. §1670.5 in the consolidated cases and combined matters before her, specifically acting to limit the application of the unconscionable clauses in Scientology’s contract as to avoid any unconscionable result. Armstrong has demonstrated at length in his appellate briefs in this case that Judge Duryee could not but have been applying C.C.C. §1670.5 in both limiting the liquidated damages to $500,000, where Scientology sought $10,050,000, and in remitting or discharging the contempt punishment. Armstrong’s position is that the $500,000 is also unconscionable, but that issue is not before this Court. Judge Duryee specifically identified the indicia of unconscionability, one-sidedness, endlessness, trickiness. She used the unconscionable word in pronouncing her judgment at trial, and she used the word in her judgment, which she linked to the order re sentences. The Court of Appeal decision does not mention C.C.C. §1670.5, although it could not be avoided in Armstrong’s briefs, and acknowledges no effect of the unconscionability ruling on the punishments the Court reinstates. The Court of Appeal moreover misstates the unconscionability judgment. If the misstatement is not made, the Court would have had to deal squarely with the unconscionability of the punishment the Court was reinstating for other nonexistent reasons. The court, however, found that it would be unconscionable to“punish” Armstrong with liquidated damages in excess of the $800,000 he received as a benefit under the settlement agreement. inflict on Armstrong to liquidated damages. Her intention is made unavoidable by her linking of the contempts punishments to the judgment. The decision states that Judge Duryee didn’t have jurisdiction to alter the sentences imposed against Armstrong because the court’s orders in the contempt proceedings are final and conclusive and not appealable orders. There is, however, no such exception to C.C.C. §1670.5. There is no law stating that a court may not act to prevent an unconscionable result if that unconscionable result is jailing and fining someone for contempt of court. The position that punishment cannot be remitted if found to be unconscionable defies all logic. To say, which the Court of Appeal is saying in what it is and isn’t saying, that a set of jail sentences ruled unconscionable and remitted, must be reinstated because it is too late for a California Superior Court Judge to have her conscience shocked, and consequently make such a ruling, also defies all logic. Unconscionability in a contract is a very serious matter with very serious legal significance and consequences. Scientology here is seeking to avoid the consequences and they should not be permitted to get away with it. They are getting away with it by enforcing the unconscionable. The Court of Appeal is, with that Court’s avoidance of the profound issues including C.C.C. §1670.5 that Armstrong raises in his briefs, abetting the unconscionable. dismissal, in fact, should have immediately barred Scientology from proceeding with its writ petition to have the unconscionable punishment reinstated. B. The correct remedy and procedure in this case is mandated by C.C.C. 1670.5, specifically the reasonable opportunity to present evidence as to the contract’s commercial setting, purpose, and effect to aid the court in making the unconscionability determination. Scientology should have availed itself of that opportunity afforded it by C.C.C. §1670.5(a). Scientology erroneously jumped the gun and filed its appeal and writ petition. The Court of Appeal should have sent the matter back to the trial court to conduct an evidentiary hearing on the contract’s commercial setting, purpose, and effect. Why Scientology is avoiding the statutorily mandated evidentiary hearing on the contract’s commercial setting, purpose, and effect is clear. Such an evidentiary hearing would show that Scientology unlawfully coerced and deceived Armstrong into signing its contract, that Scientology fair gamed and compromised his attorney, that there were no negotiations whatsoever about the reasonableness of the obscene liquidated damages penalty, and that there is no relationship whatsoever between that penalty and the actual damage Armstrong causes with each expression of his religious beliefs he expresses. But Armstrong too is to be afforded an evidentiary hearing pursuant to C.C.C. §1670.5(a), and he has made this claim and demand throughout this consolidated appellate case. What is completely and glaringly missing in this case is a fair hearing or trial on the merits, including the merits of Armstrong’s profound human rights defenses. What should be reinstated, and what this Court has jurisdiction to reinstate, is not the unconscionable jail sentences and fines Scientology wants inflicted on Armstrong, but his defenses against such unconscionable punishment. For the reasons stated herein, Armstrong respectfully requests this court grant review to determine the issues presented above. Pursuant to Rule 28.1(d)(1) of the California Rules of Court, respondent Gerry Armstrong certifies that the number of words in this brief, according to the word count of the computer program used to prepare the brief, is 8,398 words.